Step One! If you are a non-client and would like to have a complimentary chat with Johanna to know more about her coaching and how she can take your physique to the next level, please go ahead and book your 30-minute complimentary chat using the “BOOK A CALL” section. Step Two! 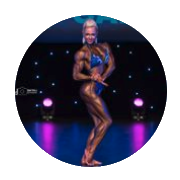 If you have already had a complimentary chat with Johanna and are ready for the next step, please go ahead and book your 60-minute Consultation with Johanna to plan for your coaching using the “BOOK A CALL” section and please pay for your 60-minute consultation below by clicking “online bodybuilding consultation”. Step Three! If you are a current coaching client of Johanna and are booking your regular coaching call then please and then please go ahead and do that using the “BOOK A CALL” section. For details of the 5 weeks Blocks of Online Coaching with Johanna Mountfort. *** Johanna with get in touch with you regarding your online posing routine design. Once you have purchased your posing you can use the “BOOK A CALL WITH JOHANNA” section to book your sessions with her. If you selected Saturday Sessions you will need to contact Johanna directly to arrange a time admin@johannamountfort.com. Johanna will contact you shortly with more information. Please fill in the additional notes section with more details about your requirements. Thank you!